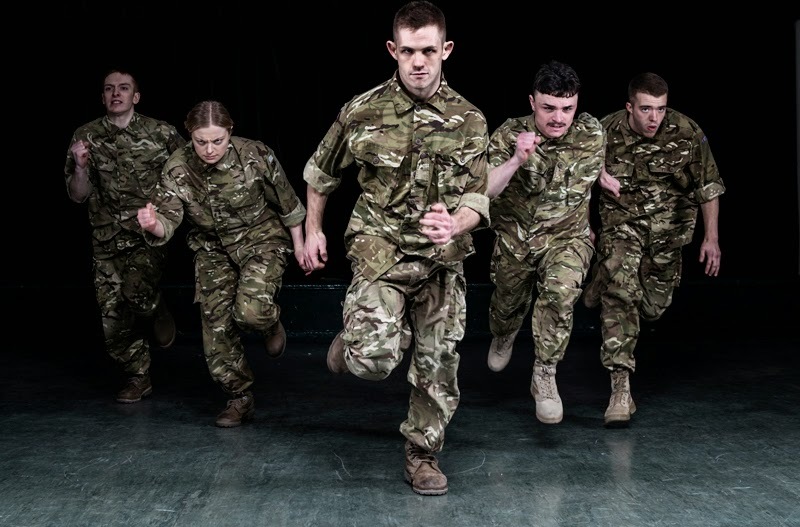 The powerful production about life in the army returns to Dance City as a visceral and emotional rollercoaster. 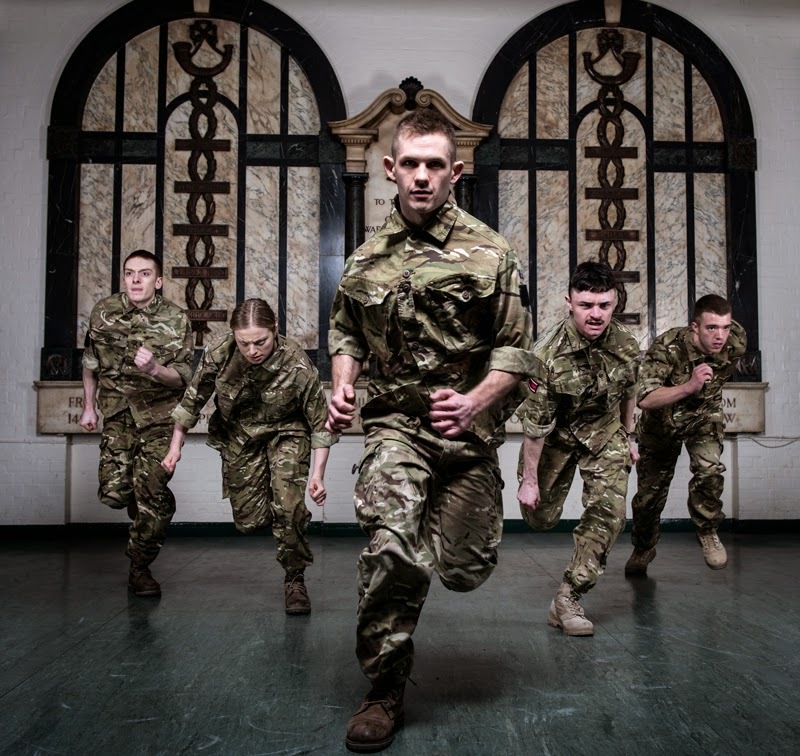 After an attachment with the 4th Battalion The Rifles, Rosie Kay has choreographed and directed an engaging production that mirrors life in the army. 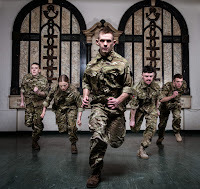 The talented and hardworking cast of five have also all had a chance to shadow the work of the army and this is reflected in this show. 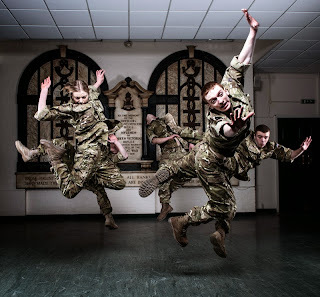 The show passes through three phases: training and drill work; larking around during down time and then out on patrol. There is a regular pattern to the drill work. The ensemble work as a single machine. The pace is frenetic and followed by waiting before the pace picks up again thus building up tension. 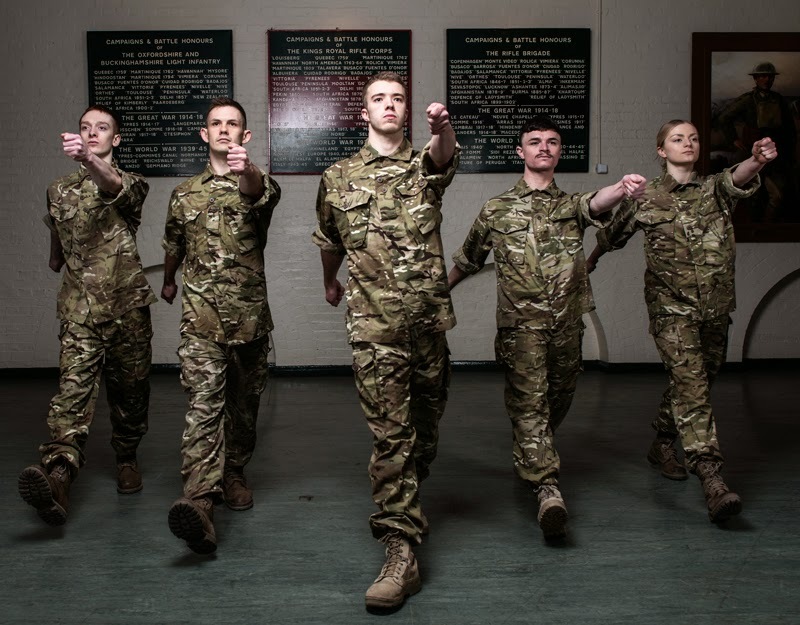 Duncan Anderson, Sean Marcs, Oliver Russell, Chester Hayes and Shelley Eva Haden have made accurate observations of the soldier’s lot. 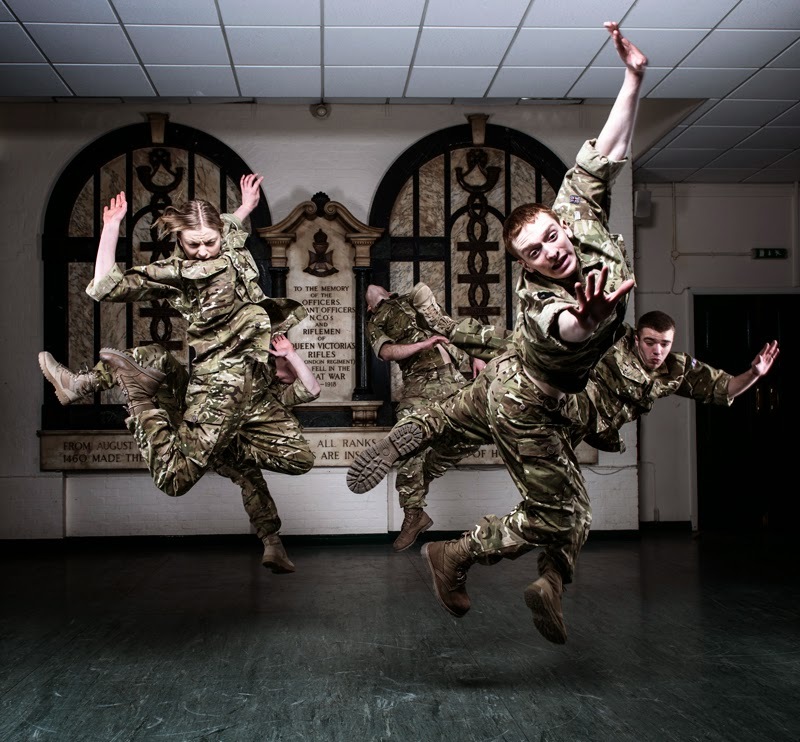 The action of the group on drill is in stark contrast to the behaviour of the individual during the down time. At times the lighting design by Mike Gunning leaves huge shadows of the unit marching on the back screen. 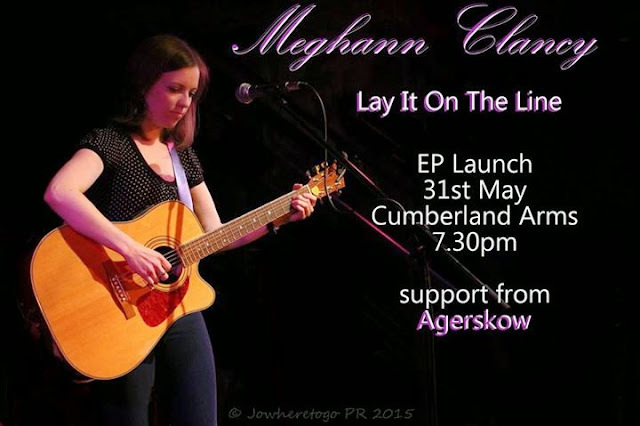 Annie Mahtani’s musical composition fits in with the mood of the action perfectly. The action moves to a nightclub. 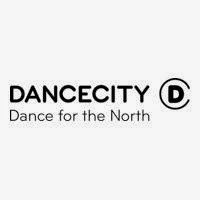 The lads dance together, fight together and chase ladies together. Aggression and boredom fuel some fabulous pieces of co-ordinated theatre. It is pleasing to see a strong positive female role during this production rather than a weaker or mourning role which seems to be frequently the case is drama. Shelley Eva Haden’s character is not only an equal to her male counterparts, she is able to get the upper hand. 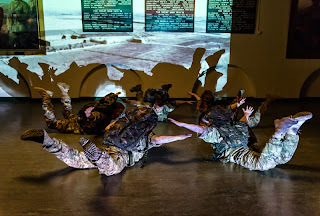 A fascinating sequence sees the cast fly over the theatre of war before skydiving down and starting the patrol. Again, the action sees the unit move as one troupe as the tension builds up to its exhilarating climax. The final scene is an emotional one which shows the human sacrifice by many young people in our armed forces. Their minds and bodies are clearly put through so much and it is society’s role to rehabilitate them afterwards. The sharp contrast between the individual’s needs and behaviour of a wider group with a single purpose is clear throughout the story. 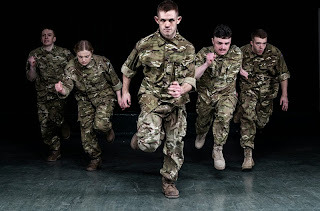 5 Soldiers is a unique and honest physical theatre treat that feels like a 6 month tour of duty squashed into an hour.